I have to sell my house to buy one - how does that work? If you have owned your home for some time, there is a good chance you have some equity built up and that is great! Maybe you’re thinking about a move-up or even changing cities. You know you’ll be able to cover your down payment and closing costs once you sell and cash in your equity, but you don’t want to have to sell then move somewhere temporarily while you find your new house. This is where the contingency comes into play. In the Real Estate world, a contingency is an action or condition that must be met in order to make it to the closing table. We actually have several different contingencies in most contracts. For example, if you are getting a mortgage you will have a financing contingency as part of your contract. This quite literally means that if you can not obtain a mortgage approval (by a certain date set forth in the contingency piece of the contract) then you cannot move forward to close on the property. So, if you have a house to sell and you’ll be using those proceeds for your down payment and closing costs on the day of closing on your new property, you will have an additional contingency in your contract. Quite literally – the purchase of the new house can only happen if you close on your current house (usually by a certain date – whatever is agreed upon by you and the seller). Well, yes these types of contingencies CAN be easy. I had clients that I closed this past summer who wrote a contingency offer that was accepted, we listed their house immediately, received 2 offers the first day and on the day of closing we closed their sale at 9:00 and their purchase at noon. I think they would tell you that it was a breeze! However, in today’s Real Estate climate (it’s a SELLERS market out there!) when you are so often competing with other buyers, a seller does not always want to entertain a contingency. Your agent (because I assume you have one) will need to be prepared to answer questions about the house you are selling. “Where is it?” “What is the asking price?” “Is it ready to list or is it listed already?” Further, once you go on the market your agent will undoubtedly need to give updates on the activity and traffic. Remember, you can’t close on this house (and the seller will not collect their proceeds) until you close on the one you currently own. 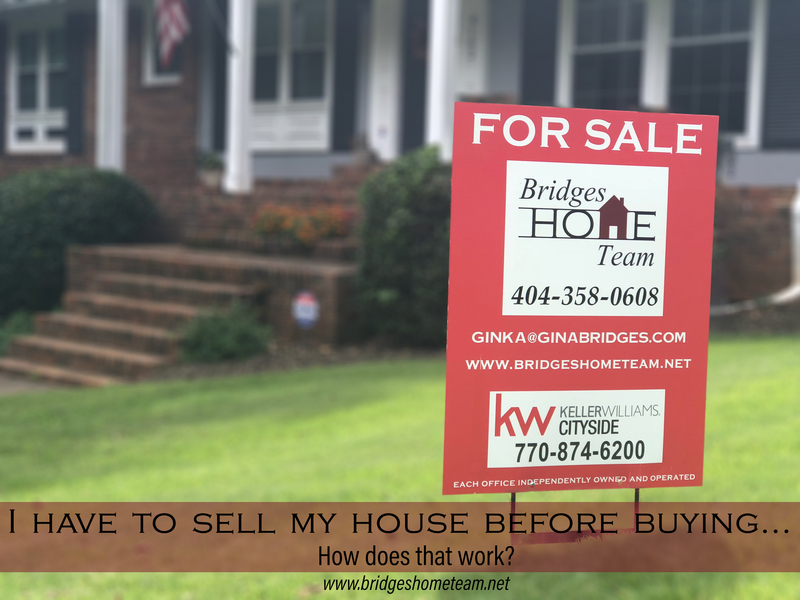 So, because the seller has gone under contract with you (and therefore taken their house off the active market) they will want to know what is happening with the house you have to sell. If you think a contingency may be a possibility for you, have a conversation with your Realtor®. He/She will be able to help you determine what the best course of action may be for you and your home. Don’t have a Realtor®? If you’re in the Cobb County area of Metro Atlanta we’d love to talk with you! If you’re not, check out our previous post about how to find a Realtor®.